Tennessee Arms Company has reintroduced their ‘Ghost Gun’ translucent polymer AR-15 lower for sale. These were originally available a few years back, and by Tnarmsco’s own admission were intended more as a novelty for teaching or showcase use, due to the inherent weakness of the translucent polymer. 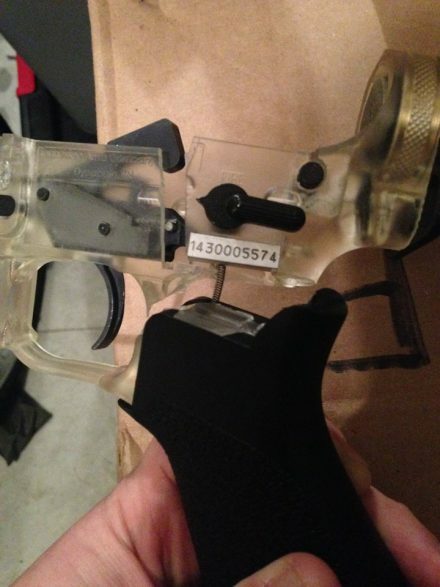 I managed to crack open my original ‘Ghost Gun’ lower due to complications from installing the bolt release detent. Difficulty with installing that component was a fairly common issue with this lower, gleamed from a cursory internet search. This time, the lowers are being offered only as complete assemblies, as “…the assembly process is slightly different with this lower compared to [Tnarmsco’s] standard lower receivers.” Given my above experience, having it come as a complete ‘drop-in’ assembly is a welcome option. Prospective buyers have their choice of standard Black furniture, or Magpul MOE furniture in a selection of colors. Again, this is essentially a novelty item, so if you want one recognize exactly what you’re getting. 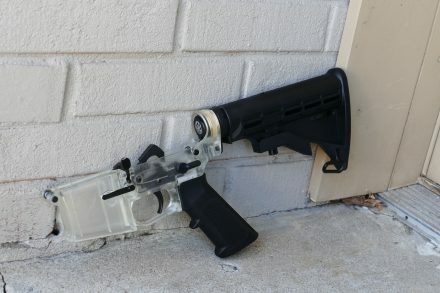 Tnarmsco doesn’t recommend the ‘Ghost Gun’ lower for heavy use. Although they have tested it with a multitude of cartridges, from .22 LR up to .50 Beowulf, with no reported issues, and Sons of Liberty Gun Works even ran one full-auto during a testing phase, it’s not a lower you should beat into the ground. 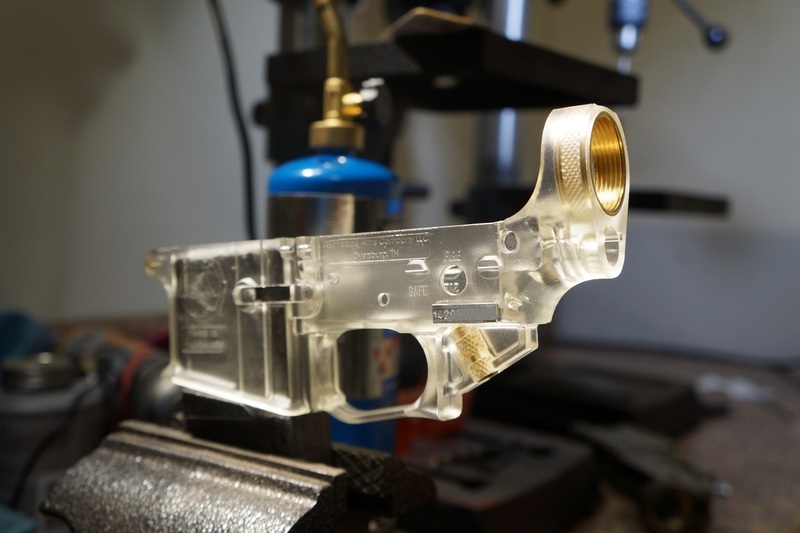 Due to the nature of its construction, Tnarmsco offers a 45 day warranty for the ‘Ghost Gun’ lower.